Living… in Scranton, Pa., with his daughter Jada, half the time. It’d be easier to share custody if his ex-wife wasn’t constantly on his case. It makes the trips to pick up Jada that much more difficult. Profession… warehouse foreman at the Scranton branch of the Dunder Mifflin Paper Company. Since it’s his job to keep the warehouse running smoothly and safely, Darryl resents branch manager Michael Scott’s disregard for safety and constant disruptions. Darryl’s greatest fear is not getting a shipment out on time. Michael’s disruptions could someday cost Darryl his job. He knows if someone’s going to go, it’s going to be him. Interests… spending time with his daughter. Darryl will go to great lengths to make Jada happy – including appearing in Michael’s action film Threat Level Midnight as the President, after Jada expressed her wish to see a black man as President. Apparently President Obama wasn’t enough. Relationship Status… divorced, in an ugly way. Darryl rarely walks away from a phone call with his ex-wife happy. He briefly dated co-worker Kelly as a rebound. That was never going to last. Challenge… keeping Michael out of the warehouse. In Darryl’s words, “We do safety training every year, or after an accident. We've never made it a full year. 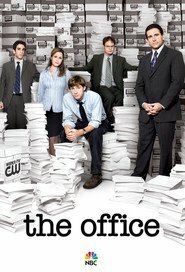 This particular time, I was reaching for a supply box on the top shelf, when one office worker, who shall remain nameless, kicked the ladder out from under me and yelled...” It was Michael, of course, laughing hysterically and screaming, “Hey Darryl, how’s it hanging!” Because Darryl was hanging in the air; get it?! Darryl Philbin's popularity ranking on CharacTour is #1688 out of 5,000+ characters. See our top-ranked characters and read their profiles.